His current name is 'Florence Ailey', after his dead classmate. 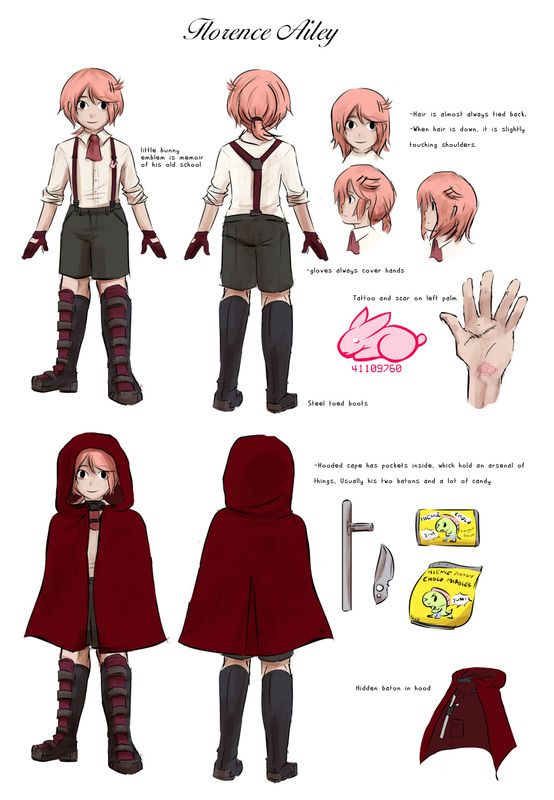 He graduated from an academy called the 'Bunny Assassin Academy', a secret academy that took orphans at a very young age and trained them to be top notch assassins to be used for their own purposes. There he learned the usual academics: math, english, language, physics, biology, acting, self defense, weapons mastery, and more. After going on a rampage killing spree at school, he goes out to explore the world outside the academy. 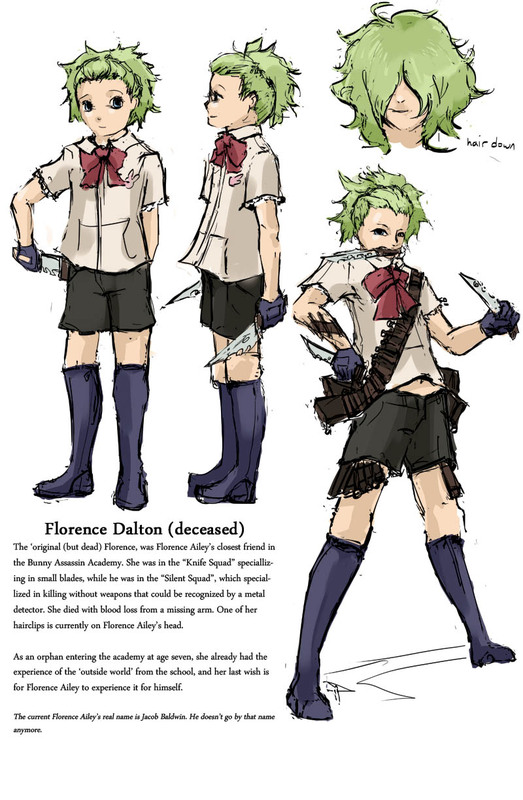 To keep people from finding out his real name, he goes by 'Florence Ailey', derived from his dead classmate's name, whom he takes his persona from. The hairclip on his head is a memoir of her. He is a very happy, and innocent kid, but on rare occasions also incredibly violent. Only able to drink water and various poisons and drugs in his academy, he has developed a sweet tooth ever since picking up a box of juice. He also tries to be a polite kid by calling people 'miss' and 'mister', with an innocent smile, and has good manners. Behind that smile, he still follows by 'the rule of the assassins', which were ethics enforced at the Bunny Assassin Academy. No one can tell if his personality is a farce to hide his true identity of an assassin or if he's really enjoying life to the fullest. He's a bit uneducated about the ethics and morals of society outside of school. Killing was once a normal part of school assignments, but he has not done any ever since leaving the school. Dislikes: sour and spicy food, people who question his gender, public toilets. Weapon of choice: Being cute, tonfa, Judo, reinforced steel toed boots. Abilities : training at the academy has given him enhanced agility, strength, senses, speed, high pain tolerance, immunity to poison (which includes alcohol), and knowledge of various weaponry. Also has mastered the hidden 'killer bunny technique' taught exclusively at his school; little is known about the technique. 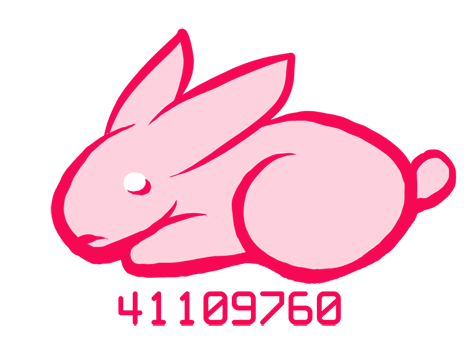 Along with that skill is the hidden 'bunny assassin techniques' which is list of various techniques in assassination used by the students. -He lives in Elvis Bean's ex-girlfriend's apartment.